Oddly Japanese: It's the Most Wonderful Time of the Year! I don't think it's just me but once October rolls around, time seems to fly so fast because you have so much fun. There is an exciting holiday each month - Halloween, Thanksgiving, Christmas and New Years - until January. This year's Halloween was so ridiculously fun, as it was my first Halloween in Hawaii. I pulled a freshman year and wore three different costumes on three different nights. 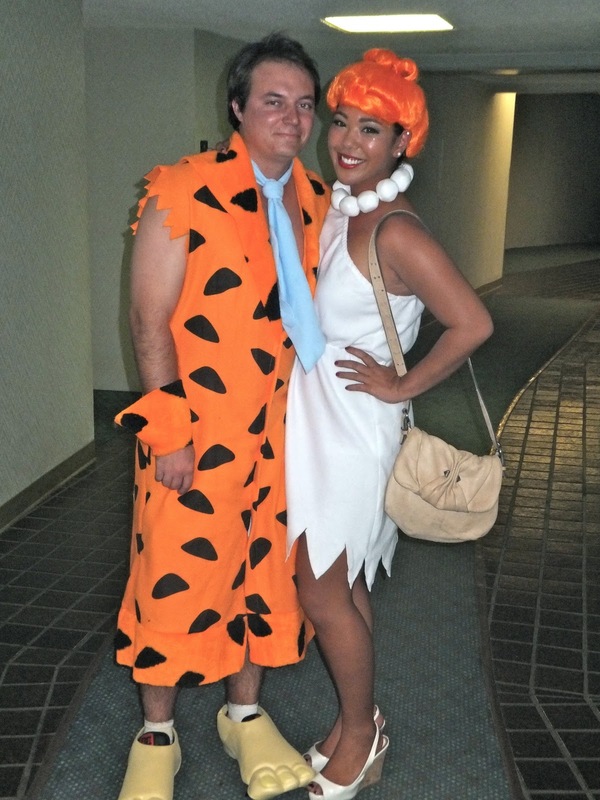 My favorite, by far, was dressing up as Wilma Flinstone, with Jack as Fred. So much fun! I started off the celebration on Friday, at Apartm3nt, with Elyse and Jack. A low-key night, spent mostly people watching, but it was fun nonetheless. 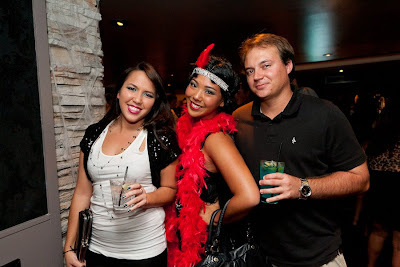 We spent the second night, Saturday, at Hallowballoo, in downtown Honolulu. It was so stressful to get a cab out to downtown, but we managed and spent the rest of the night at Bar 35, by far my favorite bar in downtown. We ended up wasting at least 45 minutes in line but that was expected. It was worth it, though, because we got to see all the wanderers scantily dressed in barely-there costumes, Ace Venturas (my favorite! ), packs of bananas and more! And ended the night with steak and eggs at Like Like Drive Inn. Is there any other way to end a fun filled night? ;) We ended our Halloween celebrations on Monday night. My good friend Dayna and I wandered the streets of Waikiki and had a few cocktails at the Five-O Bar and Lounge at the Royal Hawaiian Shopping Center. Not a crazy night, but fun nonetheless! Im short on funds too! Im waiting for cyber monday though, i hate long lines and I need sleep after being a glutton on thursday.